The pharmaceutical company AstraZeneca said Thursday that it had reached a $520 million agreement to settle two federal investigations and two whistle-blower lawsuits over the sale and marketing of its blockbuster psychiatric drug Seroquel. One of the investigations related to 'selected physicians who participated in clinical trials involving Seroquel,' AstraZeneca disclosed in a government filing. The other case related to off-label promotion of the drug. Seroquel was the top-selling antipsychotic drug in America. It had $17 billion in sales in the United States since 2004, according to IMS Health, a research firm. Tony Jewell, a company spokesman, declined to be more specific about the physicians or clinical trials under investigation. He said the company was in final negotiations to settle the whistle-blower suits and reach a corporate integrity agreement with the Justice Department. The name of the whistle-blowers and other details of the suits remained sealed in federal court. Stephen A. Sheller, a lawyer in Philadelphia for the whistle-blowers, and Patricia Hartman, a spokeswoman for the United States attorney in Philadelphia, both declined to comment. AstraZeneca, based in Britain, joins a list of drug makers that have paid billions to settle inquiries initiated by complaints from former company insiders. Earlier this year, Eli Lilly & Company paid $1.4 billion over its marketing of Zyprexa, another antipsychotic drug. And Pfizer announced it would pay $2.3 billion, including a record $1.195 billion criminal fine, mostly over its painkiller Bextra, which has been withdrawn from the market. Does anyone really still believe that integrity agreements, and settlements assessed against huge corporations deter such profitable bad behavior? A half a billion dollar one-time settlement is just a small cost of doing business for a company that sold $17 billion worth of the offending drug in the last five years. As in the case of many other previously announced settlements, it appears that nobody who authorized, directed, or implemented the bad behavior that led to the settlement will suffer any sort of negative consequences. We previously discussed allegations that AstraZeneca manipulated and suppressed clinical research, and organized deceptive marketing campaigns in support of Seroquel sales (here, and here). If we do not discourage such practices, they will continue to bias the clinical evidence making expensive drugs and devices seem more effective and less dangerous than they really are. Is it any wonder that we over-use and over-pay for these products? Anyone seriously interested in reforming health care to improve quality and access while moderating costs ought to pay attention to behavior that leads to such over-use and over-payment. An Alliance on Mental Illness or for Pharmaceutical Companies? A recent article by Gardner Harris in the New York Times focused on the financial links among health care corporations and not-for-profit disease (or patient) advocacy groups. A majority of the donations made to the National Alliance on Mental Illness, one of the nation’s most influential disease advocacy groups, have come from drug makers in recent years, according to Congressional investigators. However, he tried to downplay the influence of the pharmaceutical industry on the Alliance. Note the careful wording of this denial, though. He did not deny that most of what NAMI cares about is pharmaceuticals. Moreover, the article suggested how cozy pharmaceutical companies and the Alliance's leadership have become. 'For the past five years, Bristol-Myers has sponsored this dinner at the highest level,' Dr. Feinstein said. Documents obtained by The New York Times show that drug makers have over the years given the mental health alliance — along with millions of dollars in donations — direct advice about how to advocate forcefully for issues that affect industry profits. In a letter today to the NY Times, NAMI Executive Director Fitzpatrick tried again to correct "misimpressions." First, the National Alliance on Mental Illness, or NAMI, has always disclosed corporate and foundation sources of revenue. Until this year, specific amounts remained private for competitive fund-raising reasons. Second, your estimate that pharmaceutical companies account for three-quarters of “donations” has been misinterpreted as a share of NAMI’s total annual budget — which is actually about 50 percent. The NAMI web-site now includes lists of specific corporate donations that individually exceeded $5000 since the beginning of 2009. So far this year, the biggest pharmaceutical corporate donors appear to be AstraZeneca ($350,000), Bristol-Myers-Squibb ($506,205), and Eli Lilly ($675,500). Looking at the latest Form 990 filed on behalf of NAMI with the US Internal Revenue Service (available from GuideStar here) provides more interesting detail. (Keep in mind that the 2008 form covers July 1, 2007 to June 30, 2008.) This form listed the organization's total revenue as $13,788,288, and expenses as $12,796,205. These expenses included $1,785,060 (13.9%) for management and $1,520,637 (11.9% ) for fund-raising. The form listed eight NAMI executives who made more than $100,00 a year, including Mr Fitzpatrick ($210,685 total compensation). So, in summary, it appears that corporate donations, mainly from a few large pharmaceutical companies, supply a substantial portion, (maybe half, if I read the letter by Mr Fitzpatrick correctly) of the annual budget of NAMI. About one-quarter of that budget is spent on administration and fund-raising, including six-figure salaries for at least eight executives. So who do you expect would more easily get access to the $200K+/year NAMI Executive Director, an executive of a pharmaceutical firm that supplies more than $500,000 a year, or a NAMI member who pays $35 dues? Here we have another example of a respected patient advocacy organization which gets a substantial portion of its revenue from (presumably the marketing departments of) a few large pharmaceutical companies. (See another example here.) Its well-paid executive director can at best bring himself to deny that the only purpose of the organization is to support pharmaceutical marketing and lobbying. It seems reasonable that for supplying half the budget, the pharmaceutical companies expect considerable help not only with marketing but also with advocacy of policies that favor their corporate goals. As I have said before, I do not have a problem with pharmaceutical and other health care corporations marketing their products, and expressing their views on policy. I do have a problem with corporate marketing or policy advocacy is disguised as grass-roots, not-for-profit education and advocacy. If ostensibly not-for-profit disease (or patient) advocacy organizations like NAMI want to continue to accept corporate money, they should make it clear that they speak for their corporate donors as well as, and probably with priority over their members and patients with the diseases of interest. Well-intentioned people who pay their dues, and/or make small contributions to NAMI to help the mentally ill might want to consider whether they are likely to have any influence compared to the individual pharmaceutical executives who oversee $500,000+ a year corporate donations. ADDENDUM (2 November, 2009) - See also comments on the Furious Seasons blog. When making decisions about treatments for individual patients, the EBM approach suggests using the best available evidence about possible benefits and harms of treatment, so that the treatment chosen is most likely to maximize benefits and minimize harms for the individual patient. The better the evidence about specific benefits and harms applicable to a particular patient, the greater will be the likelihood that a particular decision based on this evidence will result in the best possible outcomes for the patient. A new study in the Archives of Internal Medicine focused on how articles report adverse effects found by clinical trials. [Pitrou I, Boutron I, Ahmad N et al. Reporting of safety results in published reports of randomized controlled trials. Arch Intern Med 2009; 169: 1756-1761. Link here.] The results were not encouraging. The authors concluded, "the reporting of harm remains inadequate." Perhaps conflicts of interest and marketing rather than science have shaped even the often accepted standard that randomized trials study primarily effectiveness, whereas information on harms from medical interventions can wait for case reports and nonrandomized studies. Nonrandomized data are very helpful, but they have limitations, and many harms will remain long undetected if we just wait for spontaneous reporting and other nonrandomized research to reveal them. In an environment where effectiveness benefits are small and shrinking, the randomized trials agenda may need to reprogram its whole mission, including its reporting, toward better understanding of harms. Pitrou and colleagues have added to our knowledge about the drawbacks of the evidence about treatments that is publicly available to physicians and patients when making decisions about treatment. Even reports of studies with the best designs (randomized controlled trials) in the best journals seem to omit important information about the harms of the treatments they test. It appears that the majority of the reports that Pitrou and colleagues studied received "private" funding, presumably meaning most were funded by drug, biotechnology, or device companies and were likely meant to evaluate the sponsoring companies' products. However, note that this article did not analyze the relationship of funding source to the completeness of information about adverse effects. Nonetheless, on Health Care Renewal we have discussed many cases in which research has been manipulated in favor of the vested interests of research sponsors (funders), or in which research unfavorable to their interests has been suppressed. Therefore, it seems plausible that sponsors' influence over how clinical trials are designed, implemented, analyzed and reported may reduce information about the adverse effects of their products reported in journal articles. Trials may be designed not to gather information about adverse events. Analyses of some adverse events, or some aspects of these events may not be performed, or if performed, not reported. The evidence from clinical research available to make treatment decisions consequently may exaggerate the ratios of certain drugs' and devices' benefits to their harms. Patients may thus receive treatments which are more likely to hurt than to help them, and populations of patients may be overtreated. Impressions that treatments are safer than they actually are may allow their manufacturers to overprice them, so health care costs may rise. The article by Pitrou and colleagues adds to concerns that we physicians may too often really be practicing pseudo-evidence based medicine when we think we are practicing evidence-based medicine. We cannot judiciously balance benefits and harms of treatments to make the best decisions for patients when evidence about harms is hidden. Clearly, as Ioannidis wrote, we need to "reprogram." However, what we need to reprogram is our current dependence on drug and device manufacturers to pay for (and hence de facto run) evaluations of their own products. If health care reformers really want to improve quality while controlling costs, this is the sort of reform they need to start considering. NB - See also the comments by Merrill Goozner in the GoozNews blog. Who Should Sponsor Comparative Effectiveness Research? In particular, we have discussed a number of high profile attacks on comparative effectiveness research, which often have featured arguments based on logical fallacies. While some of the people making the attacks have assumed a conservative or libertarian ideological mantle, one wonders whether the attacks were more driven by personal financial interests. For example, see our blog posts here, here, here, and here. On the other hand, we discussed a clear-headed defense of comparative effectiveness research by a well-known economist most would regard as libertarian here. Comparative effectiveness research has been discussed as an element of health care reform in the US. It turns out that the current version of the health care reform bill in the US Senate has a provision to create a Patient Centered Outcome Research Institute, which presumably would become the major organization which could sponsor comparative effectiveness research. (A) 3 members representing patients and health care consumers. (B) 3 members representing practicing physicians, including surgeons. (C) 3 members representing private payers, of whom at least 1 member shall represent health insurance issuers and at least 1 member shall represent employers who self-insure employee benefits. (D) 3 members representing pharmaceutical, device, and diagnostic manufacturers or developers. (E) 1 member representing nonprofit organizations involved in health services research. (F) 1 member representing organizations that focus on quality measurement and improvement or decision support. (G) 1 member representing independent health services researchers. Thus, only 3/15 members of the governing board would represent the patients who ultimately reap the benefits or suffer the harms produced by medical diagnosis and treatment. Further, 6/15 members represent for-profit corporations which stand to make more or less money depending on how particular comparative effectiveness studies come out. Also, 3/15 members would be physicians, some of who may get paid more to deliver particular treatments (e.g., procedures) than others (e.g., providing advice about diet and exercise). The current draft of legislation would create the largest potential sponsor for comparative effectiveness research, but would make that organization report to representatives of for-profit companies whose profits may be affected by the results of such research. In my humble opinion, this is not much of an advance. Comparative effectiveness research controlled by corporations that stand to profit or lose depending on its results will forever be suspect. If the government is going to support comparative effectiveness research, it ought to make sure such research is not run by people with vested interests in the outcomes coming out a certain way. I may be biased myself, but why not let the research be sponsored by AHRQ, an agency with relevant experience and no axe to grind vis a vis any particular product or service? One of the promises made about healthcare IT is that your medical data is "safer" in electronic form than in paper form. The Hurricane Katrina example of paper records being destroyed is often used as a poster example of the dangers of paper records. However, the risk of electronic storage of information, especially the talk of national EMR's stored on the "cloud" (an amorphous term meaning distributed storage "out there" whose physical sites and boundaries are supposedly irrelevant from the user's perspective) has also been under-reported. Personal customer data had been "lost" from many of T-Mobile USA's Sidekick devices due to a computer malfunction, although the data was apparently recovered eventually, apparently through luck rather than good engineering. I expressed concern that such mishaps could affect clinical IT. I did not have to wait long for such a case to appear. Less than one week. During a recent investigation into whether a patient's confidentiality had been breached at the Fairview Medical Clinic, an investigator asked for a log of who had accessed the complainant's file. When the clinic responded that it had automated his records in 2004 but only had files from 2006 on, alarm bells rang. "That raised a lot of questions," said Leahann McElveen, an investigator with the office of the information and privacy commissioner. The clinic had permanently lost two years worth of health files that include patient information on visits, prescriptions, lab reports, doctor's notes and other information. The loss happened when the clinic switched from one electronic medical records system to another. "They were two similar systems intended to do the same thing," McElveen said. "However, they weren't coded the same way behind the scenes. It's not that the records fall into the wrong hands, they just don't exist anymore." Deinstallation of one system in favor of another is not uncommon. EHR data may become unavailable due to lack of data portability and the expense of data migration, or in this case apparently due to preventable technical problems. It is essential for clinical IT users to have robust disaster recovery and business continuity solutions, and take great care when performing actions that can lose large amounts of data very fast. This adds to clinical IT cost, and a concern is that some users might skimp on these capabilities. Regarding the very well done Sunday Oct. 25, 2009 story in the Washington Post "Electronic medical records not seen as a cure-all" by staff writer Alexi Mostrous - signup may be required for access - I have several observations. First, I believe healthcare IT can live up to all the predictions made about its benefits - but only if done well. There is massive complexity behind those two words "done well", and that is HIT's key stumbling block in 2009. I believe we are only in the adolescent stage of knowing how to "do health IT well." The improvement of medicine ... in the context of protection of patient rights established over centuries of development of modern medicine. The improvement of IT itself through cross disciplinary collaboration between IT and medicine, of the science of IT (computer science), the social aspects of computerization ("sociotechnical issues"), and improvement of the our understanding of the intersection of medicine and computers. Instead, we largely have the opposite. Patients' rights are trampled, and hostility and territoriality has arisen between clinicians (including medical informaticists) and IT, groups that rarely if ever interacted in hospitals ten or twenty years ago. Of concern, when scientific study sections evaluate NIH grant proposals calling for testing of new IT that involves patients, patient protections and informed consent processes are a paramount concern since such activities are considered research. Yet, in implementing large clinical IT system in a hospital with new features, there are no formal regulations, and I'm not sure there's even IRB involvement in most cases. Patients do not get the chance to give informed consent to the use of these IT devices mediating their care. Why the difference? The unintended results of computerization efforts have also included suppression of research on sociotechnical issues and on informatics, which must include study of the downsides of HIT, and of the failures in addition to the study of the successes. That is scientific fact - there is no room for debate, no room for spin on the need for careful study of the downsides of any mission critical domain. One would think there to be a vibrant literature on these issues, Yet searches on massive biomedical databases such as PubMed on, say, "cerner electronic health record" (or other vendors as well) are disappointing to say the least. Further, my own website on HIT difficulties remains nearly unique (PPT) after ten years online. That is not bragging; it is a disturbing finding to me - symptomatic of an industry that somehow has managed to avoid serious scrutiny. 3) those who see, know and speak/write/research the problems. ... bipartisan enthusiasm has obscured questions about the effectiveness of health information technology products, critics say. Interviews with more than two dozen doctors, academics, patients and computer programmers suggest that computer systems can increase errors, add hours to doctors' workloads and compromise patient care. I would include the bipartisan enthusiasm under the subject header of "irrational exuberance", which itself falls under the header of "lack of domain knowledge." That itself is a consequence of both failure to study the issues, and suppression of those issues by those with an interest in doing so. health IT's effectiveness is unclear. The literature is indeed conflicting, and the need for rigorous scientific study has never been more essential considering the commitment of tens of billions of dollars towards health IT. The time for story telling, marketing based on opinion, name calling, leap-of-faith extrapolations of light year dimensions, and other forms of pseudoscience and non-science are over. The time for objective study is now. The Senate Finance Committee has amassed a thick file of testimony alleging serious computer flaws from doctors, patients and engineers unhappy with current systems. Being the ranking member of that committee, Sen. Grassley has a fiduciary responsibility to protect Medicare and Medicaid patients (and one might argue, to protect all patients since those programs often serve as models for private insurers). In that regard, the investigation he has initiated is part of his responsibility as a ranking member of Congress. Politics aside (and there are those who will resort to ad hominem "political witch hunt" arguments), he would have been negligent if he had not initiated an inquiry. Sen. Grassley has taken on the pharma industry and the government's Food and Drug Administration itself, such as in this recent article "FDA fails to follow up on unproven drugs" where he concluded from a GAO study he ordered that "FDA has fallen far short of where it should be for patient safety." He seems quite serious about medical safety. If only others in Congress had done their job similarly regarding national finance, we might now not be in the worst economic crisis since '29 with many major industries failing. David Blumenthal, the head of health technology at the Department of Health and Human Services, acknowledged that the systems had flaws. "But the critical question is whether, on balance, care is better than before," he said. "I think the answer is yes." This sounds uncomfortably like how a pharmaceutical company might respond to doubts about drug effectiveness and safety. In reality it's really irrelevant what he "thinks." Where's the data? Is this a political statement, a personal belief, or a statement backed up by scientific fact that is not cast into doubt by other research results? Our own National Research Council, Joint Commission, and other international organizations have written about their doubts and concerns about HIT [as that IT is designed and implemented in 2009]. If there is rigorous, systematic research weighing pro's and con's to back this assertion, I wish it would be published. The full set is in this post. Somewhere in the past 40 years, the rigorous ROI evaluations (which also must include systematic evaluations of risk, as any businessperson knows) and the fundamental skepticism seem to have gotten lost. Over the next two months, Blumenthal will finalize the definition of "meaningful use," the standard that hospitals and physicians will have to reach before qualifying for health IT stimulus funds. This is an example of putting the cart before the horse, and is a semantically-based, self contained logical fallacy of sorts. If a health IT system is harmful, the term "meaningful use" is itself Orwellian. If we don't know if HIT is beneficial, or have doubts, then such as term presupposes that health IT is inherently beneficial. A better term would have been "good faith use" - use based on the faith or hope that health IT will have an overall positive effect. The term "meaningful use" jumps the gun and is more a political slogan than a "meaningful term." "If you look at other high-risk industries, like drug regulation or aviation, there's a requirement to report problems," said David C. Classen, an associate professor of medicine at the University of Utah who recently completed a study on health IT installations. This is obvious, the reasons for it are obvious, and the reasons why health IT needs a requirement for problems reporting (one aspect of post-marketing surveillance, the "Phase IV" study as it is known in pharma) is obvious. Yet in 2009, no such requirement exists (see my post "Our Policy Is To Always Have Unabashed Faith In The Computer" for more on why we need reporting requirements.) Why do these requirements simply not exist in HIT? "It's been a complete nightmare," said Steve Chabala, an emergency room physician at St. Mary Mercy Hospital in Livonia, Mich., which switched to electronic records three years ago. "I can't see my patients because I'm at a screen entering data." Last year, his department found that physicians spent nearly five of every 10 hours on a computer, he said. "I sit down and log on to a computer 60 times every shift. Physician productivity and satisfaction have fallen off a cliff." The industry in the past has called such physicians "luddites", "resistant to change", "stubborn" etc. However, argumentum ad hominem is a fallacious mode of argument that has no place in a scientific field such as biomedicine. There also seems to be quite a lot of such concerns expressed by a large number of physicians, nurses, etc., and dismissing their concerns with a wave of the hand is cavalier in the extreme - again, these are first principles, without room for argument or debate. Let's study the issues rigorously and scientifically before resorting to ad hominem. Other doctors spoke of cluttered screens, unresponsive vendors and illogical displays. "It's a huge safety issue," said Christine Sinsky, an internist in Dubuque, Iowa, whose practice implemented electronic records six years ago. See my eight part series on mission hostile clinical IT here for examples of what Dr. Sinsky is referring to. She emphasized that electronic records have improved her practice. "We wouldn't want to go back," she said. "But EHRs are still in need of significant improvement." Yes, not cancellation, but improvement. And, quite importantly, before tens of billions of dollars are spent. Hospitals and physician offices are not an IT development laboratory, since the users of these facilities (patients) have very special rights and the clinicians, very special obligations and responsibilities. Legal experts say it is impossible to know how often health IT mishaps occur. Electronic medical records are not classified as medical devices, so hospitals are not required to report problems. That after decades of HIT development, sales and implementation we cannot know with certainty how often mishaps occur is, quite simply, a scandal of major proportions. Quoting an old House of God law, #10: "if you don't take a temperature, you can't find a fever." Another applicable aphorism seen on another discussion board: "you can only be so negligent or craven before the only remaining rationale is that you intended the result." "Doctors who report problems can lose their jobs," Hoffman said. I've taken risks with my own career in criticizing health IT, as have my colleagues. Hoffman is not exaggerating. "Hospitals don't have any incentive to do so [speak out about problems with HIT] and may be in breach of contract if they do." Imagine the outcry if the same prevailed regarding drugs or medical devices. The cemeteries would be lined with people whose epitaph could read "we bury our mistakes." While orange-shirted vendor employees "ran around with no idea how to work their own equipment," the internist said, doctors struggled to keep chronically ill patients alive. "I didn't go through all my training to have my ability to take care of patients destroyed by devices that are an impediment to medical care." This gets to issues I first raised in my website on HIT difficulties: who are these IT personnel, and what are their qualifications, exactly, to be working in mission critical medical environments? How is their competence evaluated? Senator Grassley has sent a letter out to ten major health IT vendors seeking information on health IT problems and flaws. The letter can be retrieved from this link (PDF) at the Washington Post. Read the whole thing. It is linked via a Washington Post story "Electronic medical records not a cure-all", Sunday Oct. 25, 2009, by staff writer Alexi Mostrous. The WaPo article itself seems to require registration. I will comment on the article in future posts. Addendum 10/25: I have now commented on the article here. I regret that it took me so long to find an essay on "Organisational Ethics Policies" by Howard Whitton, available from the European U4 Anti-Corruption Resource Center. While it was written with international non-governmental organisations (NGOs) who "administer aid programs" in mind, it seems applicable to all kinds of NGOs and not-for-profit organizations, including those in health care. In the US, most medical schools and their parent universities, most hospitals and academic medical centers, essentially all medical societies and disease advocacy groups, and some insurance companies and managed care organizations are not-for-profit. The main points of the paper are its summaries of the basic elements of "effective ethics policies." o universally applied, and transparently enforced. o transparent and objective evaluation mechanisms. o standards for providing reasons for administrative decisions. • A commitment to training staff in the full range of ethics-related activities. Training will improve personal awareness and strengthen the ability to define and manage improper conduct, whether by co-workers, managers, or external stakeholders. The range of training themes should include the organisation’s integrity system, specific anticorruption measures, harassment-free workplaces, non-discrimination principles, financial management and audit, integrity in procurement practices, donor relations, personal and institutional conflict of interest, accountability, responsibility, procedural fairness, and strategic problem-solving. • Policies and procedures for regular management reporting to boards and executives, in particular to enable monitoring of matters which may be of particular concern from time to time. whistleblowing must be effectively endorsed, and effectively protected, to ensure the organisation’s credibility. • Procedures for the sanctioning of improper conduct and failure to meet relevant standards by staff, structured so as to enhance management’s capacity to deal effectively with ethical issues in the workplace. Such policies cannot be considered ethical panaceas, but in my humble opinion (and based, I believe, on at least a little cognitive psychology), visible, reasonable, clear ethics policies could reduce the sort of bad behavior that Health Care Renewal often discusses on the part of leaders of major health care not-for-profit organizations and NGOs. 1 - Does your organization have anything that resembles an ethics policy? 2 - If so, which of the characteristics listed above does it have? 3 - Which of the content areas listed above does it include? 4 - Which of the functional and additional elements listed above does it include? If much is missing, is there an obvious reason for what was omitted? If the policy seems poorly characterized or incomplete, why should it not be improved? Would you feel comfortable suggesting improvements? If not, why not, and what does that say about the organization? Academic Freedom Curtailed: Censorship Down Under On EHR's for the Emergency Department? The essay on Emergency Department electronic health record (EHR) problems in the Australian state of New South Wales (NSW) by medical informatics professor Dr. Jon Patrick, Health Information Technologies Research Laboratory (HITRL), University of Sydney, that I referenced in my posts "The Story of the Deployment of an ED Clinical Information System ‐ Systemic Failure or Bad Luck" and "NSW Nightmare and Overuse of Computers" appears to have been censored. This apparently occurred at the level of the the government. The essay was available as item 6 at http://www.it.usyd.edu.au/~hitru/index.php?option=com_content&task=view&id=91&Itemid=146 . Attempts to download now provide a message "This document is not currently available." I do not know if the vendor was involved. This appears to be an overt example of suppression of academic freedom that I believe should receive widespread attention, most especially if there is retaliation of any kind against the professor. I also believe censorship of a document such as this could escalate to a human rights issue regarding what appears to be deliberate censorship of critical information about IT systems that could possibly be putting large numbers of patients at risk. Imagine if this was a report about potentially defective nuclear reactor control systems or containment processes at biological hazards research sites. I believe addressing the issues raised in the report would have been a far more responsible approach than censorship. Addendum 10/24: The author of the paper asked me to remove it from my server as well. It is currently unavailable. This situation is in flux and hopefully will be resolved soon. Hopefully, the issues in the report will be addressed. This is a multi-author blog. The essay "Nemeroff, Seroquel, and ACCME" by Dr. Bernard Carroll is at this link on the blog. In recent correspondences with colleagues I was reminded of a letter I wrote seven years ago that was published in Bio-IT World, a journal about biomedicine focusing mainly on pharma, bioinformatics and related fields. I enjoyed reading the article "Informatics Moves to the Head of the Class" (June Bio·IT World). Thank you for spotlighting the National Library of Medicine (NLM) training programs in medical informatics and bioinformatics, of which I am a graduate (Yale, 1994). Bioinformatics appears to receive more media attention and offer more status, career opportunities, and compensation than the less-prestigious medical informatics. This disparity, however, may impede the development of next-generation medicines. Bioinformatics discoveries may be more likely to result in new medicines, for example via pharmacogenomics, when they are coupled with large-scale, concurrent, ongoing clinical data collection. At the same time, applied medical informatics, as a distinct specialty, is essential to the success of extensive clinical data collection efforts, especially at the point of care. Further information on these issues can be found in the book Organizational Aspects of Health Informatics: Managing Technological Change, by Nancy M. Lorenzi and Robert T. Riley (Springer-Verlag, 1995). Various publications from the medical informatics community, such as the American Medical Informatics Association (www.amia.org) and the International Medical Informatics Association (www.imia.org), are also useful. I was also responsible for the entry of the term "Medical Informatics" into the controlled vocabulary pool used for various purposes at Merck. As far as I can tell, the Medical Informatics talent gap still exists in all major pharmas despite writings on the topic from colleagues as well as myself. With the present turmoil including declining pipelines, mergers and mass layoffs pending in many large pharmas, and even despite Medical Informatics on a fast path to being declared a full medical subspecialty, it is likely this gap will persist for years longer. This is a shame. The field offers insights that can help R&D substantially, and I speak from direct experience from my time in that domain. I am reminded via all this of another industry that seems to hurt itself via ignoring the advice of Medical Informatics professionals, the health IT industry. Healthcare IT is actually the core competence of Medical Informatics professionals, but those people are under-represented in the higher ranks of the health IT industry as well. Many job postings seek such people, but for lower level roles (as I've posted here in the past), and/or conflate formal training with informal experience and with those who qualify for the title of Medical Informaticist like I qualify (being an amateur radio licensee, extra class) as a professional RF engineer. The irony is this: the wisdom of the Medical Informatics field on health IT goes back not years, but decades. It is advice that could have made the vendors much higher margins, allowed them to produce better products, avoid the government regulation that is now nearly inevitable (in some EU countries, clinical IT has already been determined to be a medical device requiring regulation), and in many cases, enabled corporate longevity. Yet the teachings and accumulated wisdom of the field were, and largely still are, ignored, making books such as the new "H.I.T. or Miss: Lessons Learned from Health Information Technology Implementations" necessary even in 2009. "Computer engineering experts per se have virtually no idea of the real problems of medical or even hospital practice, and furthermore have consistently underestimated the complexity of the problems…in no cases can [building appropriate clinical information systems] be done, simply because they have not been defined with the physician as the continuing major contributor and user of the information." Physicians not provided with computer-based applications that exceeded their own capability! I might add that the PC did not even exist in 1977, unless you consider the Altair and Heathkit H8 "personal computers." Four-decades-old wisdom like this, and much more, sits out there in the ether and in the Medical Informatics field's professionals like a pot of gold, but is apparently considered as valuable as lead by the HIT - and pharma - industries. I find this amazing - and a pity. NSW Nightmare and Overuse of Computers: Do We Really Need Full EHR's in ED's? Those excerpts should be frightening to anyone who ever gets ill and might need to visit an ED (meaning, all of us). An ED electronic health record system (EHR) is being installed in an entire Australian state, New South Wales (NSW), with 200+ hospitals that apparently presents a mission hostile user experience and is causing great opposition by critical care physicians in a setting where death can occur - suddenly and irreversibly - in the flash of an eye. His essay about the problems with complex EHR's (of American design and manufacture, no less) being installed in Australian ED's -- without doubt a highly expensive undertaking -- raises several questions about both the EHR industry and hospitals themselves. When I was a CMIO at a 1400+ bed hospital system a decade ago, a regional center in a state with very few hospitals at all (Medical Center of Delaware, now Christiana Care Health System), I counseled that the best solution in my opinion for the very, very busy ED was document imaging of paper, supplemented by a nurse/intake triage system to rapidly record and/or confirm basics (e.g., meds/major problems/allergies/vitals) that was interfaced to the main EHR system. I based this on the assessment that in the ED, a localized and "closed" environment, the incidence of charts getting lost or writing being illegible resulting in adverse outcomes was minimal. ED charts also did not get lost when patients moved to the floors and the information passed along on paper was adequate for quick transfer and acceptance. Therefore we felt images of past ED charts (of paper) would be satisfactory for assisting care in the ED, where time constraints and hectic pace made the type of EHR system and primary data entry described in the Australian paper disadvantageous (and for exactly the reasons described in the above linked essay from Down Under). Document imaging is a proven technology that works well even in high volume settings. For example I managed a pharma departmental budget of $13 million, as did an entire pharma company, using an enterprise document imaging system. I've also been startled by the ED EHR installed at the hospital where I take my mother, who unfortunately has needed far too many admissions in recent years than I care to see. Some of the ED staff were my former medical colleagues and even high school classmates. They've told me, in no uncertain terms, that they felt the system was terrible, again for many of the reasons cited in the Australian essay. My own views of it (albeit brief) showed what appeared to be a mission hostile user environment, including multiple very tiny pulldowns, cornucopia-like picklists, and screens. Most recently that system did not prevent busy ED docs from almost giving my mother Levaquin after her telling the triage nurse it had caused tendon rupture in the past - and the data being entered. They actually brought in a bag of it to hang, and if I'd not been there as medical advocate for my mother they might have given it. Then when she got to the floor, the next day they almost gave it to her again, except by this time mom was her own medical advocate. I trained in that hospital, and as Admitting Officer for the ED held the record for the most number of admissions, ever, in one night (New Year's Eve 1986), when it was beyond crazy, starting out with one of our own physicians being brought in, shot in the chest, and dying after open heart massage just to set the mood. The surgeons did the cutting. The heart massage was relegated to the physician present who didn't cut - the internal medicine representative - me. We managed to treat hundreds and admit several dozens of sick patients using paper, and despite our gloomy emotional state not a single error occurred, to my knowledge. Can the EHR industry actually produce a competent ED EHR that can be used by ED physicians to enter detailed data in real time? Do we really need full EHR's in the ED? A related question: is the extent of ED adverse events related to lost or illegible ED charts (that could not be remediated with non-technology-based solutions far less expensive and troublesome than EHR's) known to a significant degree of confidence? Considering that the literature on benefits of EHR's in general is equivocal, I should also ask, is there literature that refutes the value of full ED EHR's, or shows it as possibly having a negative return? Are we over-computerizing healthcare, even specialties and subspecialties where doing so might actually be deleterious due to the nature of their specific medical environments, just because "we can" (and because there is money to be made by some)? Are we doing so based on irrational exuberance, leap of faith, hope, and/or an uncritical belief that if health IT provides benefits to medical domain "A0", it therefore must benefit medical domains and subdomains B1 to B99 through Z1 to Z99 as well? I am concerned about the probability that the latter is the case. I think it not unreasonable to ask these questions before we in the United States spend billions of dollars on our own ED's. Private medical records have been offered for sale in the U.K.
Medical records of patients treated at a private British hospital, The London Clinic, have been illegally sold to undercover investigators. The revelations were made in ITV’s Tonight Programme report, Health Records For Sale, broadcast last night. The programme reported that hundreds of files containing details of patients’ conditions, home addresses and dates of birth were offered to undercover reporters for just £4 each by sales executives from India, contacted online. The records offered for sale appear to have been medical records that consultants working at the London Clinic, the hospital processes its own records internally, who contracted with a firm called DGL (DGL) Information Technologies UK to digitise their records. DGL is then claimed to have sub-contracted to another firm, Scanning and Data Solutions (SDS), which scanned them into computers in the UK. SDS in turn is said to have sub-contracted further work on the files to a company in Pune, India, which had signed tight confidentiality agreements. With all this contracting and subcontracting - four layers? - adding potential security breach possibilities, and if this is not an uncommon practice, perhaps paper is safer than electronic health records? ... The reporters bought more than 100 records belonging to UK patients but were told they could obtain up to 30,000 more on demand. Confidential records were offered by condition such as particular cancers. Of 116 files bought by ITV, 100 of which were confirmed as genuine, were for patients who had been treated in private hospitals. Although not NHS records they did contain some NHS data, including referral letters from GPs. The potential abuses resulting from such sales are of great concern. If it happened in the UK, it can happen in the U.S.
One patient whose record was affected by the security breach said in the documentary that the data breach was ‘one step up from grave-robbing’. These practices call for the most severe penalties, and if the authorities lack the will, confidence in EMR privacy, confidentiality and security will suffer, along with the physician-patient relationship. 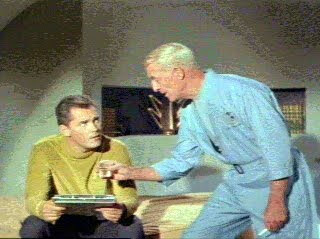 The old ST:TOS line "Sometimes a man will tell his bartender things he'll never tell his doctor" could become too applicable for comfort. From Down Under: The Story of the Deployment of an ED Clinical Information System ‐ Systemic Failure or Bad Luck? I'd opine that bad luck had little to do with it. A paper by an Australian professor of informatics about travails with a new ED EHR, manufactured by a large American HIT vendor, appeared recently (it is currently unavailable.) I remind that the issues affect a most critical area, the ED's in over 200 hospitals in Australia's most populous state, New South Wales (NSW). The paper is here. ... One criticism of [new ED EHR] is that the clinical documentation is built on the American model which doesn't fit the Australian workflow. In the same vein another commentator said it was a "system designed by administrators for administrators with no understanding whatsoever of clinical workflow and need". ... At the operational level in EDs staff dislike the software for various reasons such as: too many keystrokes to load data, hence, too complicated search pathways to find data, plus they are unable to get extraction of reports. Their dislike has reached very intense levels with many staff dismissive of its usefulness. In more than one hospital the system was credited with causing a 50% decrease in the number of patients seen by a doctor in the first 20 minutes of arrival at the ED. In at least one hospital the direct data entry of clinical notes as done with [old ED EHR] [an earlier system - ed.] has been abandoned and transferred to paper as the [new ED EHR] process was seen as too cumbersome and time costly. ... Other comments about [new ED EHR] were: "I prefer looking at a paper result than the counter-intuitive waste of my time trolling through the system. ... I keep forgetting how the damn thing is supposed to work and find it more a time waster than a help." ... Similarly, "every single user *hates* it with a passion ... ENTERING the data is a pure nightmare"
... "it is exclusively used by the nurses and entirely ignored by the doctors"
... "Clumsy, complicated (not complex), user hostile, and above all slow at any task I tried". ... “We stated the system was dangerous (multiple reasons) and that we would not use it in its current state. We also got agreement that the nurse practitioner not use it for clinical details." ... “We in X and Y had a major confrontation with the NSW ‘gurus’ and refused to use it in ED in its current state. A clinician produced a well researched document to support our claims of its cumbersome stupidity. “People present (at the meeting) were local vmos, nurse practitioner who works in ED and the local ceo etc, plus reps from [new ED EHR vendor] , NSW health etc. One clinician was present by videoconference. Nurses presented a long document detailing multiple concerns. “The meeting was quite emotional and heated as they tried over and over again to pull the wool over our eyes. For example, they started out offering “more support”. One clinician replied that this was like giving us a defective car then sending out someone to show us how to drive it. I asked was the support available at 3 A.M.? Blank faces. ... I wish to make a salient point about the nature of the delivered software with respect to the whole process of change management in the introduction of new IT infrastructure. In these situations there is always a great deal of noise and attention given to the processes of systems review, workflow redesign, and staff training. In many ways this is paying attention to the smoke rather than the fire. The actual design and operation of the software is fundamental to the successful introduction of information technology. It is a necessary condition that the software works in a fashion that optimally fits the activities and workflow of the recipient organisation, and this fit is the single largest determinant of a successful system wide implementation. Like any foundation if it is not properly designed and constructed the edifice above it will collapse no matter what amount of attention and details you put into it. The delivered software is the foundation of any clinical information system. It would seem that in this case this understanding has not been grasped by authorities in NSW. ... Without optimal design and implementation there will be no cost efficiencies and productivity gains delivered by IT, but rather, it will contribute to the spiralling expense. We can only hope that Government will understand that a modest investment in R&D for clinical information systems is needed to create the desired improvements in productivity, cost reduction and patient safety. I believe our own government here could learn from this. Read the whole thing, including the series of ethical issues the author raises. I believe the lessons apply not just to the one vendor mentioned, but to most HIT vendors, especially the large ones. Also note the observations from another Australian, Dr David G More MB, PhD, FACHI in an essay entitled "The Blight on the Landscape Health IT Awards" at this link. In a rare appearance as a witness at a Senate hearing, the majority leader, Harry Reid of Nevada, told the Judiciary Committee on Wednesday that it should repeal a 1945 law that granted the insurance industry limited exemption to national antitrust laws by allowing states to regulate insurers. The law, the McCarran-Ferguson Act, is often cited by Mr. Reid and other critics of the health insurance industry as a reason why coverage can be so expensive for many people. They say the law allows insurers to monopolize markets and fix prices in ways that are usually illegal. 'Since 1945, the insurance industry has enjoyed exemption from federal antitrust laws because of the McCarran-Ferguson Act,' Mr. Reid said. Christine Varney, the Obama administration's chief antitrust enforcer, told lawmakers yesterday that repealing the insurance industry's antitrust exemption would spur competition and further the drive to control the cost of health insurance. So why would this discussion be relevant to Health Care Renewal? First of all, the exemption of insurance companies from anti-trust laws (US laws designed to prevent monopolies and other anti-competitive business practices) may have allowed these companies to grow into business behemoths, and for individual companies to dominate local insurance markets. In some locales, businesses and individuals have very few health insurance policies available because only a few companies dominate the market. In fact, every recent year, the US American Medical Association (AMA) has put out a report on insurance market consolidation decrying concentration among power in local markets among few companies. The vast majority of health insurance markets in the U.S. are dominated by one or two health insurers, according to a new study by the American Medical Association (AMA) that examined insurer competition in markets across the country. Most alarmingly, in nearly all 314 metropolitan areas studied, there is evidence that patients and physicians have fewer options and are left vulnerable to the demands of the health insurer. So this does seem to be a case of concentration, if not necessarily abuse of power in health care. Why this is real news however, is that the 1945 McCarran-Ferguson Act, its baleful influence, and calls for its repeal are not old news. In fact, up to now, they have not been news, or part of health care policy discussions at all. My first response to the news articles above was "the McCarran what act?" I had never heard of this 64 year old law, and never heard it cited as an enabler of concentration of power in health insurance, and never heard a call for its repeal. Therefore, maybe the 1945 McCarran-Ferguson Act was a major cause of consolidation in the health insurance market, and this consolidation may be an important contributor to high health care costs and poor health care access. But this notion apparently has not appeared in any major medical or health care/ services/ policy research journal in the last 20 years. If the McCarran-Ferguson Act has been around for 64 years, and is a major cause of rising health care costs and declining health care access, why has no one bothered to discuss it where any physician or health care/ policy researcher might see it? It seems that the failure to bring the McCarran-Ferguson Act into polite conversation is another example of the anechoic effect. We have noted again and again that for physicians or health care professionals to discuss certain aspects of our dysfunctional health care system, often aspects that relate high costs, declining access, and poor costs to concentration and abuse of power, is "just not done." So it seems like discussing how a federal law from another era barred government action to prevent concentration of power in the health care industry, concentration of power that made some people very rich, was "just not done." Of course, if there was any discussion of this law and its effects, maybe someone would have called for its repeal before 2009. Dr Aubrey Blumsohn provided a reminder from the UK to us in the US: ""the desire to maintain decorum and status in medicine seems also to overwhelm all standards of decency. Our profession is inclined to fixate on the irrelevant while ignoring some very bad things." If we really want to improve health care here in the US, and around the world, a modest beginning would be to begin open discussion of the various skeletons rattling around in the health care closet. SEC. 1102. ENCOURAGING MEANINGFUL USE OF ELECTRONIC HEALTH RECORDS. (2) promotion of low-cost electronic health record software packages that are available for use by health care providers, including software packages that are available to health care providers through the Veterans Administration. The VA system, VistA/CPRS ("computerized patient record system"), was developed with taxpayer money and is freely available. A free working demo is downloadable here (Windows only). This represents a needed "public option" for healthcare IT, the estimates of cost of adoption of proprietary systems now at somewhere between $20 and $50 billion dollars, give or take. (I believe the actual figure to be far higher due to IT sector dyscompetence in HIT as I wrote at my post "Fuzzy Math Indeed.") To put that figure in context, $50 billion is enough to build approximately five hundred shiny new 100-bed hospitals, or one hundred 500-bed hospitals, at ~$1 million per bed. Entrepreneurial companies have sprung up to adopt it for the private healthcare sector such as WorldVista. They probably won't be charging the multimillion dollar rates that the private HIT sector does, and the quality will likely be higher. Paraphrasing Capt. Chesley Sullenberger in a recent WSJ article, however, I'm a long term optimist about HIT, but a short term realist. Healthcare cannot be 'transformed' by a technology that itself has major problems and needs transformation. These issues should have been substantially remediated before forced national rollouts, I feel. That's especially true given the inherent dangers in medicine. You can't be a wishful thinker. You have to know what you know, and perhaps more importantly in medicine, what you don't know (this is especially true both for those in IT who lack formal clinical or biomedical backgrounds, and for those in medicine who lack formal biomedical informatics or computer science backgrounds). You also need to know what your tools can and can't do. 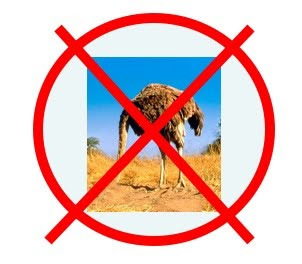 Sticking one's head in the sand is no way to approach HIT. MAUDE data represents reports of adverse events involving medical devices. The data consists of voluntary reports since June 1993, user facility reports since 1991, distributor reports since 1993, and manufacturer reports since August 1996. MAUDE may not include reports made according to exemptions, variances, or alternative reporting requirements granted under 21 CFR 803.19. Emphases below are mine. My comments are in [red italic]. The medication review screen of the subject device does not specify the exact dose in milligrams of combination medications. For example, narcotics are combined with tylenol in at least two strengths. Liquid narcotic tylenol-oxycodone combination is reported in ml, not mg. The exact dose of tylenol is not specified and requires knowledge of the combination medication dose in the volume specified. Certain fields of the grid do not specify the volume, but rather state "date/time" requiring another click or pop up screen. The immediate knowledge of tylenol dosage in mg is directly related to understanding and preventing excessive doses. In the subject, 10 ml of acetaminophen-oxycodone is indicated as having been given 3 times over 4 hours. That means that 1950 mg of tylenol was administered in 4 hours while the patient was in a state of starvation and receiving other medication that increase the effects of tylenol. This dose would equate to 11,700 mg of tylenol over 24 hours, nearly 3 times the maximum daily dose in otherwise health people. In the ensuing days, the patient developed acute renal failure, presumably acute tubular necrosis, and died. In the absence of other etiology, the excess tylenol was the culprit. This was not considered as etiology ante-mortem. The counterintuitive screen impaired the professionals. The pharmacist did not recognize and stop the medication, the nurses administered it, and the excessive dose, clinically meaninglessly listed as a volume of 10 ml -given 3 times in 4 hours- of acetaminophen-oxycodone, was missed by the physicians. Adverse events have been ascribed to "user error" by vendors. The device offers a potent propensity to life endangering oversights. There are other screens on this device which present information that interfere with clinically useful visualization of data. [Who designed these screens, I ask? Clinicians, or business IT personnel used to designing inventory systems for widget control? - ed.] The data does not flow to the professionals. It is not represented in a meaningfully useful manner. The professionals need to hunt for it. As such, the user unfriendly screens [see this link on mission hostile HIT - ed.] impair safe medical care consistent with the impediment to expedient professional understanding of what, exactly, is the dose of medication and how much was administered to the patient. This sentinel case of death is directly attributed to user unfriendly screens on this device. Additional reported errors can be seen in a file downloadable by clicking on this link (PDF). Some of these are a bit startling. Again, these are reports about just one HIT vendor but this piece is not just about them. Other HIT vendor products have similar issues. Health IT remains an experimental technology. ... while a broader FDA search on "Nextgen" brings up exactly one relevant hit on "Nextgen EMR - Medical Device" -- without specifics as to the "malfunction" noted under product code "HGM" - which on lookup is a perinatal monitoring system. A broader search on Allscripts only brings up drug related issues such as this curious 2002 warning letter about the marketing of guaifenesin, a cough medicine, from FDA's Center for Drug Evaluation and Research. Either these vendors are not reporting HIT problems, or are listed under another name. Rather unlikely is that they have no problems to report (latter hyperlink is PDF). As another example, a search on brand name "Centricity" brings up "hits" mostly on specialized GE products such as PACS. So, is HIT safe, or can "glitches" affect patient care? Should this industry be entirely unregulated, or its products "certified" by groups with conflicts of interest such as those affiliated with industry trade groups? Should vendors be held harmless for HIT defects that harm patients?